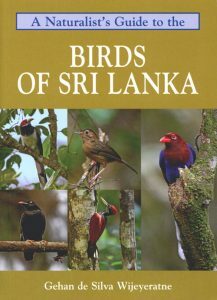 A naturalist’s guide to the birds of Sri Lanka. Artist/Author: de Silva Wijeyeratne, Gehan. 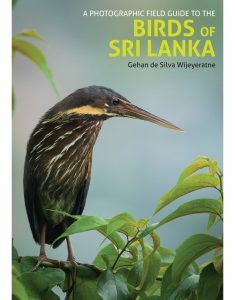 This identification guide covers the 280 bird species most commonly seen in Sri Lanka. Colour photographs are accompanied by detailed species descriptions, which include nomenclature, length, plumage, distribution, habits and habitat. The user-friendly introduction covers bird topography, bird orders, endemics and the main sites for viewing the listed species. Also included is an all-important checklist of all of the birds of Sri Lanka encompassing, for each species, its common and scientific names as well as its global status. This guide will be a great reference for residents and visitors alike. OUT OF STOCK. REPRINT UNDER CONSIDERATION. This comprehensive new field guide is an excellent addition to the world-renowned series. 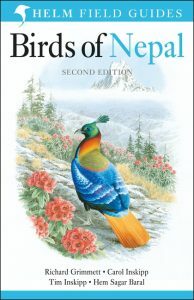 Containing detailed illustrations, every species of bird you might encounter in Pakistan, India, Nepal, Bhutan, Bangladesh, Sri Lanka, the Andaman Islands, the Nicobar Islands and the Maldives is featured, apart from non-established introductions. Beautiful artwork depicts their breeding plumage, and non-breeding plumage when it differs significantly. The accompanying text concentrates on the specific characteristics and appearance of each species that allow identification in the field, including voice and distribution maps. Artist/Author: Grewal, Bikram and Garima Bhatia. 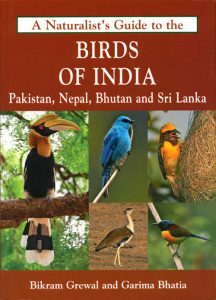 This user-friendly guide provides an introduction to the 280 species of bird likely to be encountered in India, Pakistan, Nepal, Bhutan and Sri Lanka. A detailed introduction covers geography and climate, vegetation, opportunities for naturalists and the main sites for viewing the listed species. 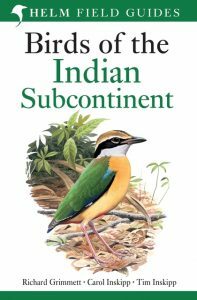 Also included is an all-important checklist of all of the birds of the Indian subcontinent encompassing, for each species, its common and scientific name as well as its vernacular name, its status in each state as well as its global IUCN status as at 2013. Artist/Author: Grimmett, Richard, Carol Inskipp, and Tim Inskipp. This field guide is the successor to the pocket guide by the same authors. Many of the plates have been repainted for this title and a number of new species added. 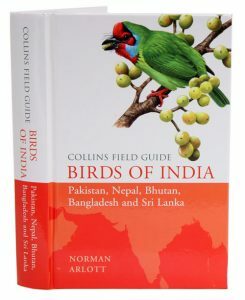 This field guide covers all the 1375 bird species found in India, Pakistan, Sri Lanka, Nepal, Bhutan, Bangladesh and the Maldives. For each species the full colour plates face the descriptions and maps for quick at-a-glance reference. This guide also provides tables, summarising identification features of particularly difficult groups such as nightjars, warblers and rosefinches. 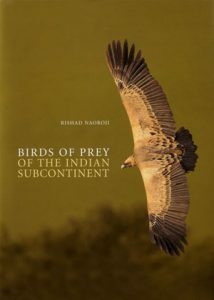 A complete guide to the raptors of the Indian subcontinent. Lavishly illustrated with 24 new plates and around 600 photographs, each species is shown in all usual plumage forms, in flight and at rest. The species accounts cover all aspects of field identification, and also include sections on distribution, behaviour, status and population. The Indian subcontinent comprises the countries of India, Nepal, Bhutan, Bangladesh, Sri Lanka, Pakistan and the Maldives. This region encompasses a great diversity of habitat types and a full range of altitudinal variation, and has a correspondingly large avifauna. The diurnal birds of prey are well represented – 70 species of hawk, buzzard, kite, harrier, eagle, vulture, falcon and falconet are found in the region. Artist/Author: Grimmett, Richard and Tim Inskipp. 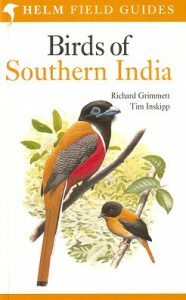 This handy guide covering just southern India uses updated versions of the superb plates from the Birds of the Indian subcontinent [stock id 11452]. These are accompanied by succinct text highlighting identification, voice, habitat, altitudinal range, distribution and status. The text is on facing pages to the plates, for easy reference. 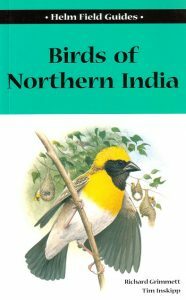 Field guide to the birds of northern India. 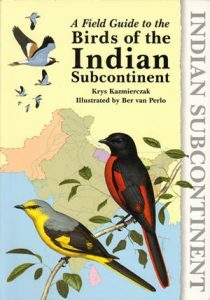 This guide is a successor to the much acclaimed Birds of the Indian subcontinent [stock id 11452] by the same authors. Covering just northern India, the superb plates are accompanied by succinct text highlighting identification, voice, habitat, altitudinal range, distribution and status. The text is on facing pages to the plates, for easy reference.